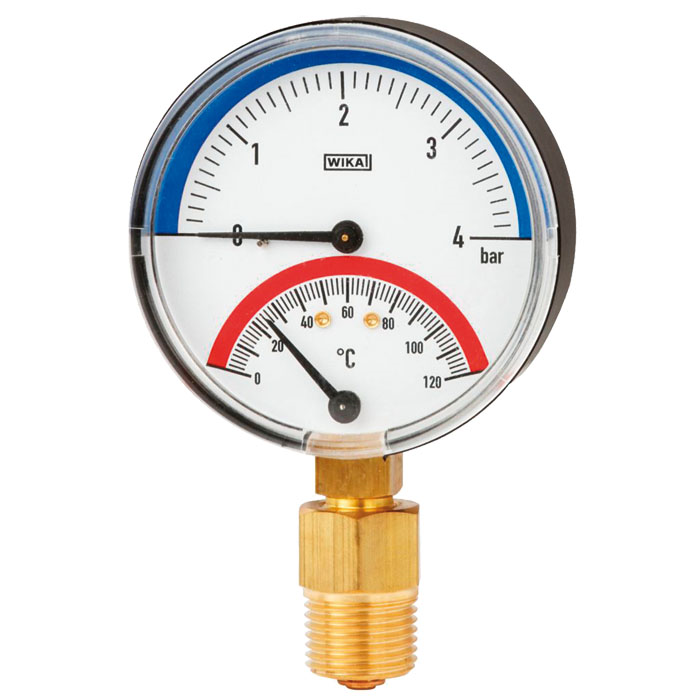 The thermomanometer with bimetal system is fitted directly at the measuring point via a stem. The valve allows the measuring instrument to be unscrewed without having to empty the heating system first. Due to the combination of a pressure gauge and a bimetal thermometer the instrument can be used flexibly in a wide variety of applications.